Jane has been practicing Pilates personally for over 14 years and is one of our Pilates instructors. She teaches Mat Pilates as well as incorporating specialized equipment such as Pilates Reformer and Pilates Cadillac into her classes. Jane is working towards becoming certified in Level 1 Mat, Reformer, Chair and Ladder Barrel Pilates by mid 2014. 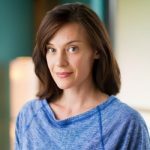 As well as Pilates Jane has danced ballet for the past 25 years and is a talented instructor, having taught ballet and creative dance to students of all ages for the past seven years at the Dance Gallery, Michelle’s Academy of Dance and Performing Arts Center and the YMCA of Ann Arbor.